Now is the time to soil test. A soil test is the best way to determine lime and fertilizer needs. However, the soil sample to be tested must be collected carefully. First, go to your county N.C. Cooperative Extension Center and get a soil sample box and information sheet. This will give you the directions for taking and mailing the sample. A soil test is the best way to determine lime and fertilizer needs. mixture. From this mixture, fill the soil sample box to the fill line. Carefully fill out the information sheet. 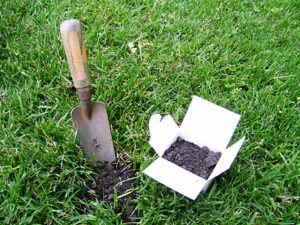 Avoid sampling in irregular areas in your garden, such as places where drainage water stands, where ashes may have been dumped, garbage buried or where old brick piles are located. In other words, sample areas that are representative of the garden site. Mail your sample to the North Carolina Department of Agriculture & Consumer Services. You will find their address on the form. You should get the results of your soil sample about 10 to 14 days later. Soil testing is the only accurate way to determine lime and fertilizer needs. Before November, they will analyze your soil sample free of charge. This year for the first time, there will be a charge of $4 for all samples analyzed from November thru March.